All children are welcome. There is no capacity for cots in the room. There is no capacity for extra beds in the room. 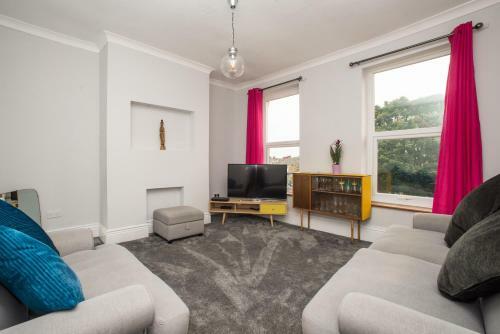 1.2 km from Northumbria University in the Newcastle City Centre of Newcastle upon Tyne, AMAZING INNER CITY MAISONETTE offers accommodation with access to a garden. Free WiFi is offered. Each unit comes with a sofa, a seating area, a flat-screen TV, a well-fitted kitchen, and a private bathroom with a hair dryer. A balcony with city views is offered in each unit. Popular points of interest near the aparthotel include Quayside, Theatre Royal and The Biscuit Factory. Newcastle International Airport is 12 km from the property.